modify or copy the materials; use the materials for any commercial purpose, or for any public display (commercial or non-commercial); attempt to decompile or reverse engineer any software contained on www.mycarheaven.com website; remove any copyright or other proprietary notations from the materials; or transfer the materials to another person or “mirror” the materials on any other server. This license shall automatically terminate if you violate any of these restrictions and may be terminated by www.mycarheaven.com at any time. Upon terminating your viewing of these materials or upon the termination of this license, you must destroy any downloaded materials in your possession whether in electronic or printed format. The materials on www.mycarheaven.com website are provided “as is”. www.mycarheaven.com makes no warranties, expressed or implied, and hereby disclaims and negates all other warranties, including without limitation, implied warranties or conditions of merchantability, fitness for a particular purpose, or non-infringement of intellectual property or other violation of rights. Further, www.mycarheaven.com does not warrant or make any representations concerning the accuracy, likely results, or reliability of the use of the materials on its internet website or otherwise relating to such materials or on any sites linked to this site. In no event shall www.mycarheaven.com or its suppliers be liable for any damages (including, without limitation, damages for loss of data or profit, or due to business interruption,) arising out of the use or inability to use the materials on www.mycarheaven.com internet site, even if www.mycarheaven.com or a www.mycarheaven.com authorized representative has been notified orally or in writing of the possibility of such damage. Because some jurisdictions do not allow limitations on implied warranties, or limitations of liability for consequential or incidental damages, these limitations may not apply to you. The materials appearing on www.mycarheaven.com website could include technical, typographical, or photographic errors. www.mycarheaven.com does not warrant that any of the materials on its website are accurate, complete, or current. www.mycarheaven.com may make changes to the materials contained on its website at any time without notice. www.mycarheaven.com does not, however, make any commitment to update the materials. www.mycarheaven.com has not reviewed all of the sites linked to its internet website and is not responsible for the contents of any such linked site. The inclusion of any link does not imply endorsement by www.mycarheaven.com of the site. Use of any such linked website is at the user’s own risk. Any claim relating to www.mycarheaven.com website shall be governed by the laws of the United Kingdom without regard to its conflict of law provisions.  If you wish to send www.mycarheaven.com or any of its partners a review item you must recognise that it’s not our responsibility if the item gets lost/ stolen before during or after the review process. We hold no responsibility for its return, also if you do wish to send us a product to review we will always ask for a return postage, if you wish the product to be returned unless other circumstances arrive. By submitting an article or guest post on www.mycarheaven.com you nearby agree to all of the terms and conditions within this page, you also agree that as soon as you have pressed submit on your post all ownership of said post belongs to www.mycarheaven.com, who are then able to change and edit your article however they may please. www.mycarheaven.com may use this article in a way to advertise a product or themselves, www.mycarheaven.com will also be able to remove or edit any links/ images and text within the article. This website operates an email newsletter program, used to inform subscribers about products and services supplied by this website. Users can subscribe through an online automated process (provided by Mailchimp) should they wish to do so but do so at their own discretion. Some subscriptions may be manually processed through prior written agreement with the user. Subscriptions are taken in compliance with UK Spam Laws detailed in the Privacy and Electronic Communications Regulations 2003 and with GDPR laws. All personal details relating to subscriptions are held securely and in accordance with the Data Protection Act 1998. No personal details are passed on to third parties nor shared with companies / people outside of the company that operates this website. If you would like a copy of the information held on you please email us via the contact details given on the website. In compliance with UK Spam Laws, the Privacy and Electronic Communications Regulations 2003 and GDPR laws, subscribers are given the opportunity to un-subscribe at any time through an automated system. This process is detailed at the footer of each email campaign. If an automated un-subscription system is unavailable clear instructions on how to un-subscribe will by detailed instead.